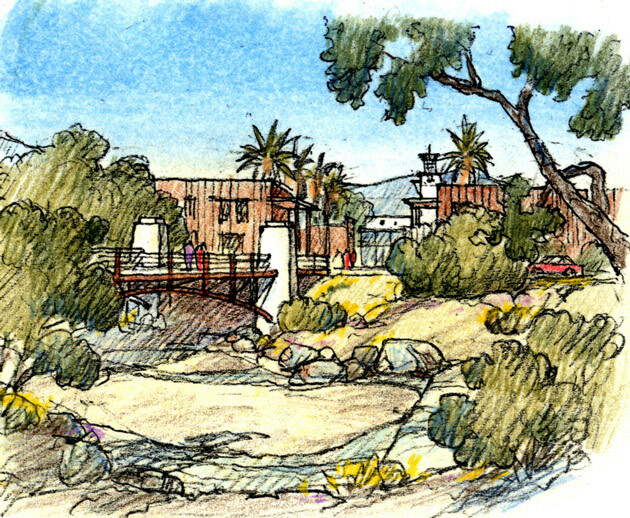 The Village at Crooked Palm is a master plan for a 136-acre development just north of the City of Ventura. Located along the Ventura River on the site of a decommissioned oil refinery, the site affords beautiful views of adjacent orchards and distant mountains. The Plan is organized around three components: an overall vision for the expansion of the existing Brooks Institute of Photography campus, a new town center, and a new neighborhood. 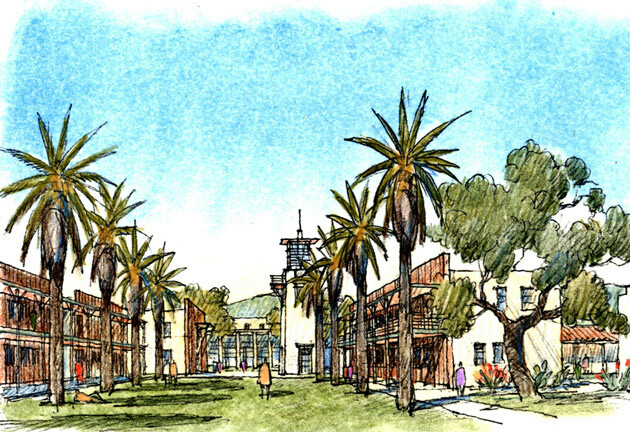 The campus plan more than quadruples the current student population, providing new classrooms, offices, sound stages and 300 dormitory units. The town center includes a 60-room hotel, up to 50,000 square feet of office and retail space and 100 units of courtyard and loft housing. The neighborhood offers approximately 600 units of market-rate housing arrayed in a variety of different types, including single-family houses, row houses, courtyard housing, lofts and live-work.